Here's a classic Tifa Fan art from years ago. Not sure of the artist to this day sadly, would love to give him/her credit for this picture. This picture has a special meaning since it was this image and a picture of Trunks that were the first images to grace this site back in March of 2002. 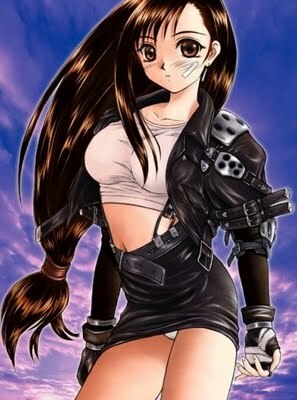 Tifa has always been my favorite anime/videogame girl and will continue to be but of course I have other favorites. Huh. You gotta love how amazing they made Tifa look, and how many people still admire her after all these years.